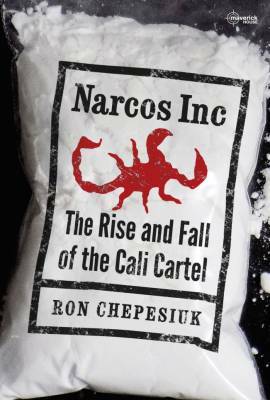 In this account of the cartel’s rise and fall, Ron Chepesiuk provides a compelling insight into the history of international drug trafficking. He draws vivid pictures of the gang’s founders—Jose “the Chess Player” Londono and brothers Miguel and Gilberto Rodriguez Orejuela—and reveals how they built their empire, carving up the massive US market with their rival Medellin Cartel: New York going to Cali, Miami to Medellin. Unlike Medellin, led by Pablo Escobar, the men from Cali kept their complex operation in the shadows. It grew quickly and came to operate like a multinational corporation. In time, they became too big to share their spoils and fought an indescribably bloody war with the Medellin mob, a war they ultimately won. "If you like Mark Bowden's Killing Pablo, you'll love this. Remarkable"